So many gardeners buy orangery style greenhouses for the exact same reason as those that buy hexagonal greenhouses. The ability to use it both as a wonderful greenhouse to grow all your fruits and vegetables. But also as a pleasant sun room to relax in. 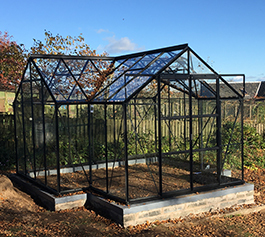 Whatever you choose to use it for, orangery greenhouses are a fantastic looking and popular choice of greenhouse.